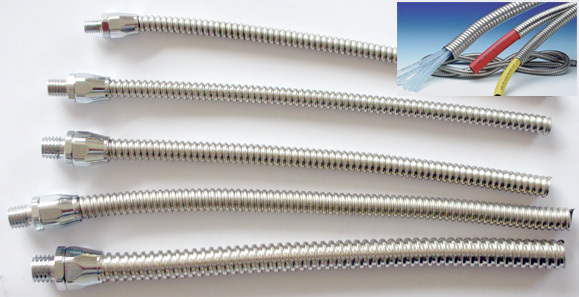 *Stainless steel for Corrosion Resistant *EMI Shielding *Durable and very long life. 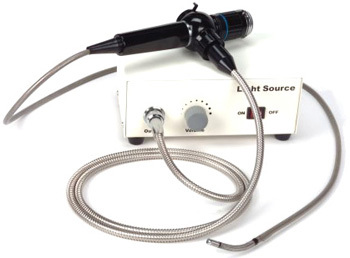 *Most suitable for instrumentation electronics or sensors wirings protections. Vehicle wiring harness. In many applications cables have to be additionally protected against mechanical and chemical stress. 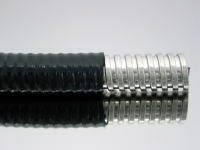 Delikon flexible conduit systems, used with matching Delikon connectors to form a perfect system connection. The complete Delikon flexible conduit system provides all round protection for cables in indoor and outdoor installations. 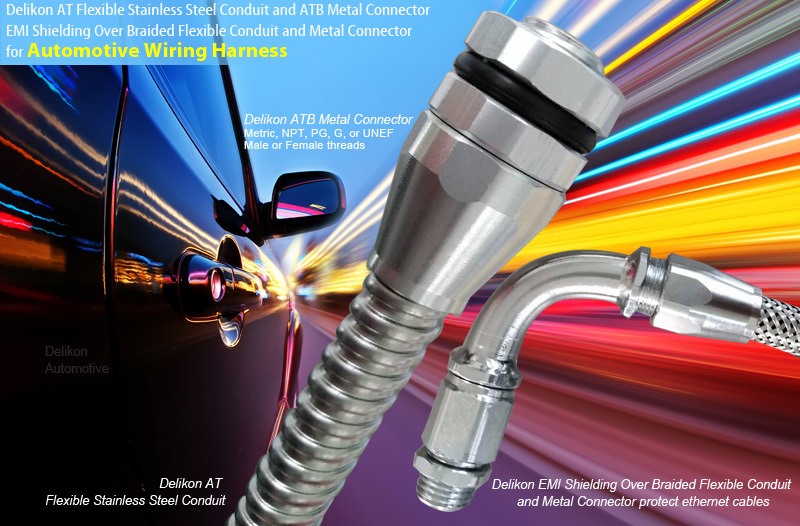 Delikon Small Bore Stainless Steel Flexible Conduit and Conduit Fittings & Connectors offer protection for vital Telecommunication, Sensors, Thermal Couplers or Laser Equipment cables. Instrumentation tubing small bore flexible conduit is used by manufacturers of various industries, such as Process & Control Instrumentation, Measuring & Controlling Devices, Analytical Instruments, Medical Instruments and many others with specific applications including temperature measuring, wiring conduit or armor cable and protective casing. 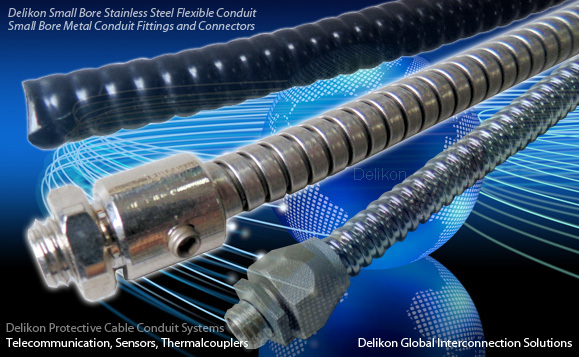 Download the catalog page for DELIKON AT Series Small Bore Stainless Steel Flexible Conduit in PDF File format. Most suitable for corrosion environments applications, such as chemical plant equipment wirings. Delikon Stainless steel liquid tight conduit and stainless steel liquid tight fittings provide reliable protection for pharmaceutical industry and hospital electrical power and data cables. Delikon Heavy Series Over Braided Flexible Conduit and Heavy Series Conduit Fittings are designed for industry automation control panels wirings, PLC wirings, Motion Control wiring and power and data cable protection. Delikon high quality Metal Liquid Tight Conduit and Liquid Tight Conduit Fittings for industry and commercial electrical wiring.